I just posted the fantabulous tarte aux abricots. In the same fantabulous magazine I found tartelettes aux herbes du jardin. Now I have to say that one of my favourite things about spring and summer are the fresh herbs. I have come to love, and rely on, fresh herbs. I don’t mind dried but they don’t hold a candle to fresh. So supermarket-basil, supermarket-thyme, supermarket-rosemary have to do in the dead of winter but as soon as they start popping up in the garden in the spring, I literally jump for joy. 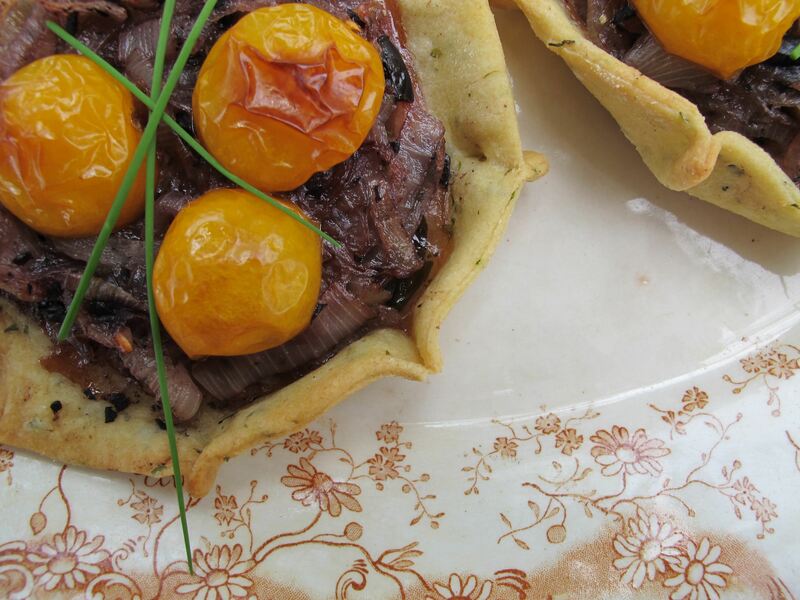 This little vegan French herby tartelette brings out the best of what you have in the garden, alongside herb’s best friends, onions and tomatoes. Again, God love the south of France. For the pastry: Put flour, semolina, herbs, sea salt and oil in a mixer. Start to mix while adding 10 cl of water until pastry starts to form into a ball. Cover in plastic wrap and let sit for one hour in the fridge. For the filling: Heat oil in a heavy saucepan. Add onions and cook until onions are soft and transparent. Add a little salt, chopped capers and chopped olives. Set aside. Chop the tomatoes in half. Divide the pastry into 6 rounds. Roll out each round until they are about 3 mm thick. Place fresh basil on top of each round. 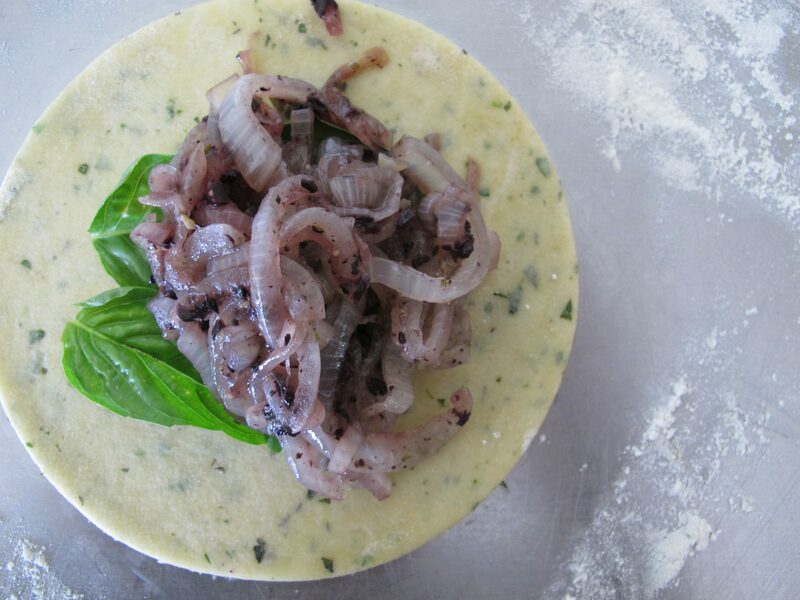 Then cover with a healthy serving of the onion mixture. Top with a few cherry tomatoes with the outsides facing up. Pinch the sides of the pastry so they form a nice enclosed shell. Bake at 350 degrees for about 35 minutes. Serve with a nice salad and baguette. Fini.